Sydney is one of Australia's premier cities, its attractions are splendid & the city-life is beyond someone's imagination. So if you're planning to visit Sydney, this short itinerary of the same will guide you on how to utilize your 3 days to the fullest. Consider this short itinerary trip and plan it accordingly. Sydney, Australia's most visited city, is blessed with abundant nature-life, beautiful harbours & inner-city precincts. Travellers from all over the country & outer parts travel Sydney in large numbers. The golden highlights – Sydney Opera House & Sydney Harbour Bridge, is the most spectacular structures to watch. These structures form the symbol to represent Sydney's tourism. Climb up the Harbour Bridge and see the dawn from the top or camp near the bridge to watch stunning nightscapes. Dine in world-class cafes & restaurants, along with experiencing Sydney's best eatery stalls. There are plenty of activities to do when you're in Sydney, so this article will guide you about a 3-day trip and the activities that you can do within these days. Consider this plan, if you're travelling to Sydney for the first time. 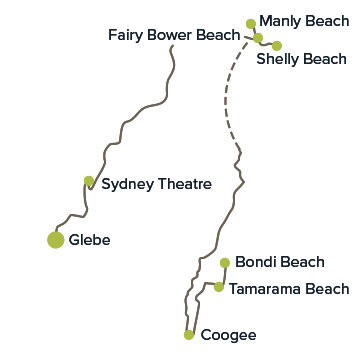 Journey Overview – Before you start with your trip or go ahead to Hunter Valley Wine region, make sure you explore Sydney's beautiful beaches & harbours. As soon as you arrive Sydney, discover city's inner beauty & skylines and dine at a famous café/restaurant. Starting your Sydney holiday with exploring harbours is the best way to kick-off your journey. Wander through cobblestone cul-de-sacs, where you can sail across & enjoy boating for a while. After that, explore the weekend markets of 'The Rocks', a place with lot of historical background & heritage buildings. The region of 'The Rocks' is as spectacular as the scenery, filled with colourful bright markets & vintage-styled streets. Then go ahead to visit Sydney's golden highlight, 'Sydney Harbour Bridge'. Climb on to the top with the help of a local tour guide and enjoy breath-taking views of the whole city. It is 3hr journey to the top, so it's quite difficult & challenging but nonetheless it's the most exciting climb. 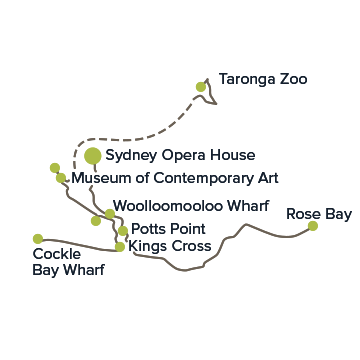 From there, you can catch a ferry from 'Circular Quay' that will lead you to Tarongo Zoo, Australia's famous zoo. You will get too see some of Australia's best wildlife species and if lucky, then you can click a picture with them too. Alternative to that can be 'Museum of Contemporary Art' which is around Circular Quay. For those travellers interested in art & paintings, this can be an ideal destination for them. Also, stroll around the Art Gallery of NSW to view some historical heritage buildings on the Macquarie Street. Your half city tour is completed by touring these destinations, so take a quick lunch break and dine at Woolloomooloo wharf – an award winning restaurant. After a healthy meal, take your bags and hop on a bus which will take you to Rose Bay, where you can carry out kayaking in the sunny afternoon by exploring city's scenic views. In the evening, enjoy Sydney's nightlife by visiting Surry Hills or Kings Cross. Spend some time on quirky bars & pubs with a beer in your hand. End your day one by watching Sydney's iconic performance at Sydney opera House. After a good day one tour, it's time to explore Sydney's beautiful beaches. 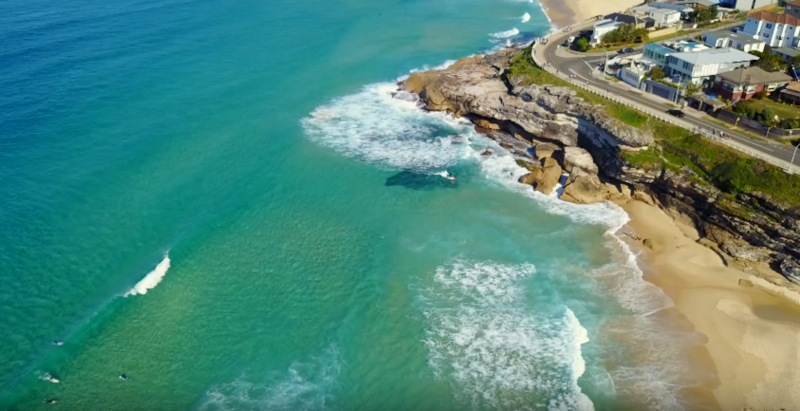 Pack your bags, have a healthy breakfast and then board a bus which will take you to 'Bondi Beach' – Sydney's most famous beach. Spend some hours here by taking a lesson on surfing or you can swim around in the beach to kill your time. Later, stroll around the back-street boutiques of the beach, where you can do a little bit of shopping. Funky cafes are placed all over the beach, so you can go and have your brunch to taste some delicious food. After your exploration to Bondi, head further to Coogee, where Sydney's best coffee is served. Cherish the taste alongside the beautiful views of Coogee beach. Alternative to that, you can take a ferry that heads to Manly and spend some time there. The walking trails at this location will give you stunning views of the whole city. Especially, the scenic walk from Manly to the Spit Bridge. Stop by at Cabbage Tree Bay and dive in these crystal clear waters to experience scuba-diving. In the evening, head to Sydney Theatre Company and Sydney Dance Company in Walsh Bay to enjoy live music & entertainment. End your day at intimate bars or eateries in 'Glebe' and cherish some of Sydney's delicious local food. Your last day in Sydney is here but the journey isn't over yet. 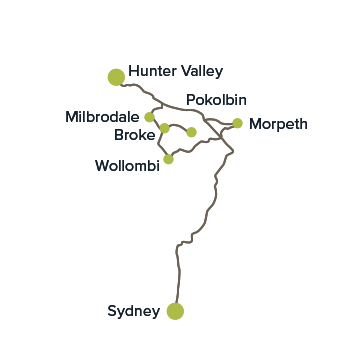 After your breakfast, hire a car or take a bus which heads to Hunter Valley – Sydney's must visit location. Along this 2hr journey, you will get to see amazing farmlands, vine-lined regions and cattle houses. As soon as you reach your location, hire a bike to tour around 120 wineries of this region. If not bike, then ride on a horse-cart for some unique experience. 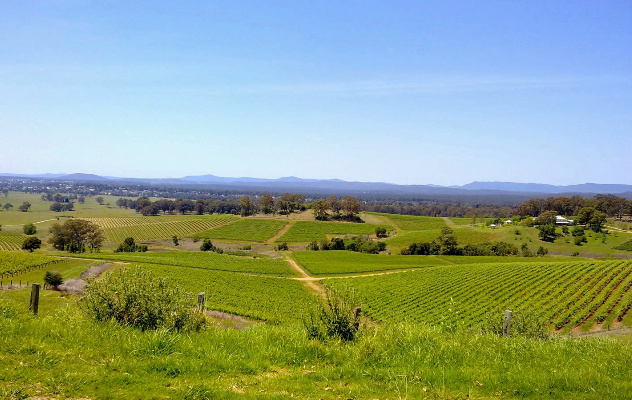 Cherish your lips with sample tasting of excellent wines at Lovedale's boutique and try hand-made white mould cheeses in Pokolbin. Explore the farm lands and get in touch with locals who will give access to some beautiful scenic areas. Take a gourmet cooking lesson with them and a cook a delicious local food. After your exploration to this wineries, rest your body in a hot spa or go for golfing in one of these regions. To experience more of this spectacular vineyard, ride on a hot air balloon to get aerial views of these beautiful vineyards. There's no better way to get lovable moments like this. After that, head to Yengo National Park at Milbrodale to see Aboriginal artwork & crafts. Further to that, you will find the village of Morpeth - a city filled with numerous galleries, antiques & cafes. End your day by staying in a guest house or in a luxury retreat.